Call 303-733-2449 today for your free estimate! Creations In Tile And Marble fabricates and installs all natural stone, granite, marble, travertine, soapstone, limestone, & onyx, quartz and recycled glass (Vetrazzo) countertops and floors. 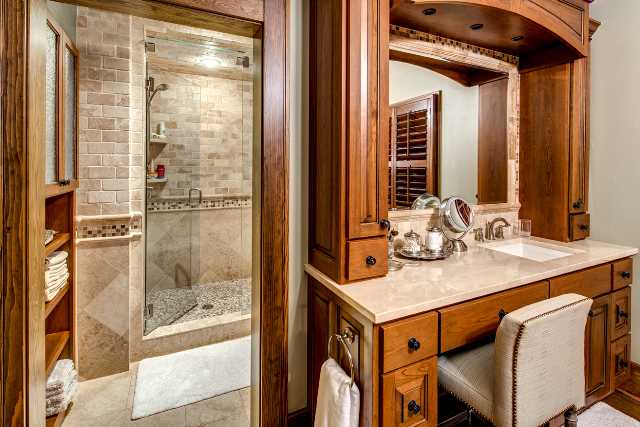 We are your expert granite and marble fabricators in Denver, CO! 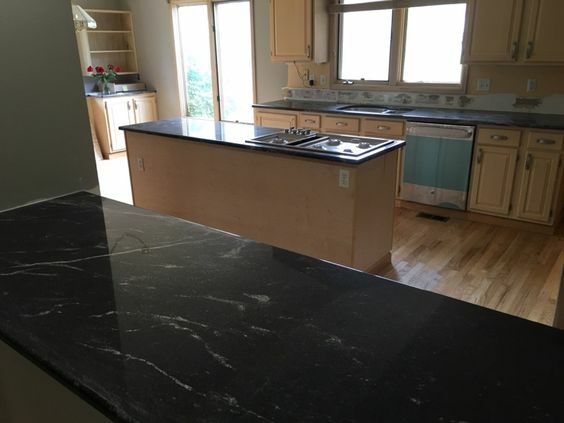 The brands of quartz we fabricate are Hanstone, Caesarstone, Pental, Silestone, Cambria, Radianz, and Zodiaq and you can learn more about our Suppliers here. All of our fabrication is done at our shop in Denver, Colorado and all of the installations are done in house. We do not subcontract our work out. No two kitchens or projects are alike and you are truly getting a custom made product when you purchase slab fabrication and installation from Creations In Tile and Marble. 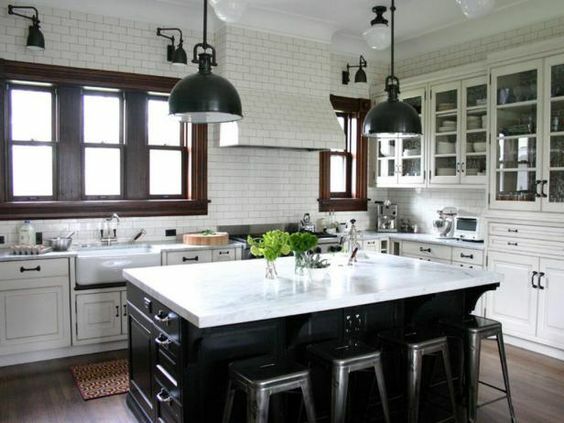 We also offer ripping out existing countertops for an additional fee. 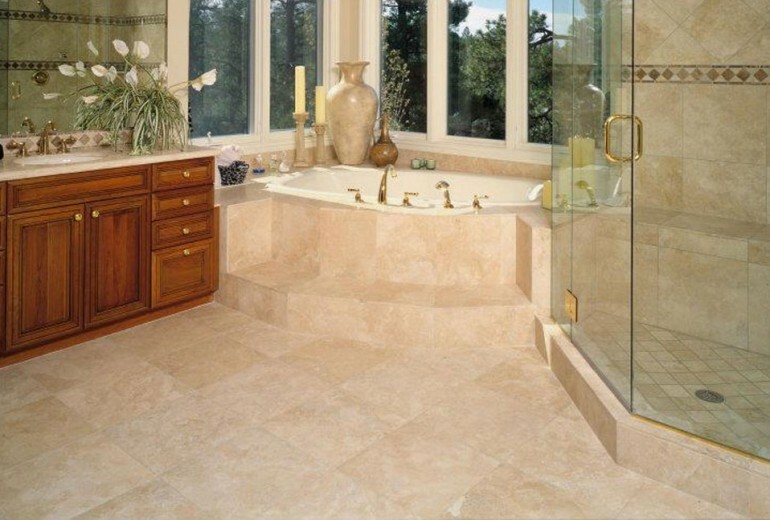 Call today at 303-733-2449 or send us a message to get your free tile installation estimate and find out how we can serve all your stone and slab needs. Slab and stone tile installation in Denver, CO. 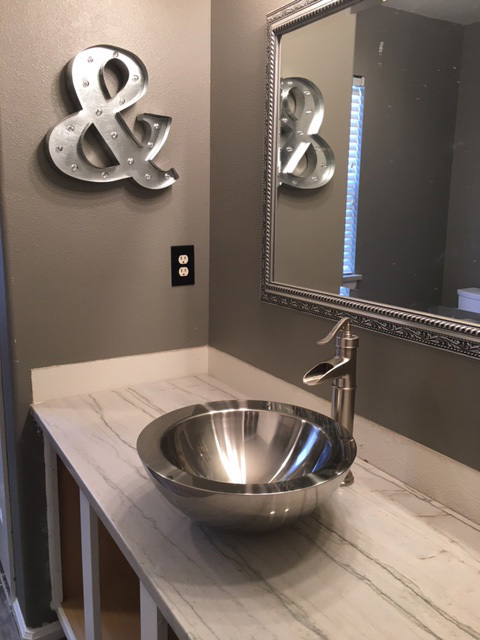 I just wanted to send a note thanking all of you for my new vanity top. Monique, you helped me select the color and material and I couldn’t be happier. The craftsmanship of this piece is nothing short of amazing. My husband and I marvel at how you cut the quartz in such a way as to really show off the particular patterns of the stone. 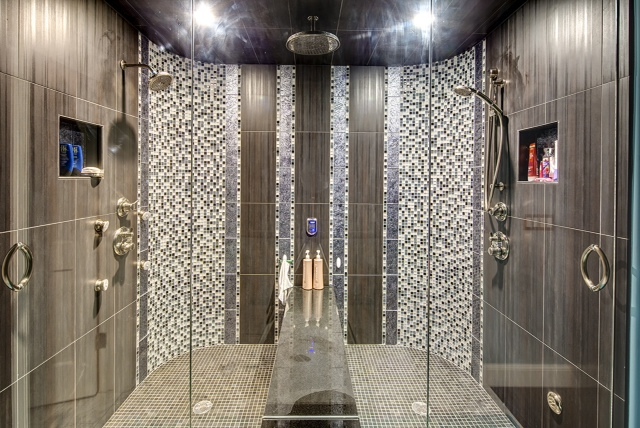 It looks absolutely beautiful in our new bathroom. I also wanted to thank all of you for your exceptional customer service. These days it’s nearly impossible to find anyone who operates on the level of professionalism that your shop exhibits. I am a general contractor in the metro Denver area and use Creations in Tile and Marble for all my granite needs. Whether you choose them for a small or large project they have the expertise to pull it together. We are about to begin our first tile project together. I have no doubt that I will see the same results I have seen with the 30+ granite projects we have completed to date. These 30+ projects ALL met or exceeded both my client’s and my expectations! Their shop granite fabrication equipment is top notch. Their coordination between estimating, occasionally meeting with my clients, securing the slabs, templating, and installation is unsurpassed. It is a pleasure to work with true professionals in the industry. Mike Sr.’s templating and operations management in the field is professional and exemplary. Paul’s supervision and coordination in the fabrication process yields an amazing end product. Bryan’s and Monique’s front office coordination is courteous, detailed oriented, and establishes realistic expectations. I can see why their sales volume increases annually as good words travel fast. I commend them for their professionalism and quality product. I look forward to the next 30+ projects. Thank you so much for our beautiful counter top. 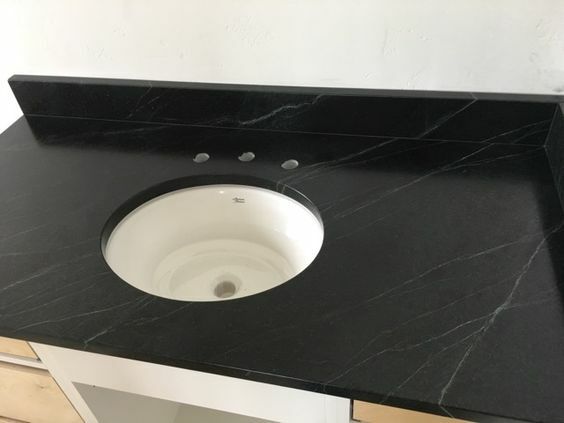 When we started this small bathroom project we looked everywhere around Denver for a stone company to help us fit a counter top to an existing cabinet but it just wasn’t a big enough job to even warrant a call back from most companies. Then I came upon Creations in Tile and Marble, where I received an email immediately back asking me what we were looking for. Everyone at their company made this experience very easy, especially Monique who went to look for remnant pieces for us in the cold and snow and sent us pictures of the one that fit our needs. Her customer service was way above and beyond. 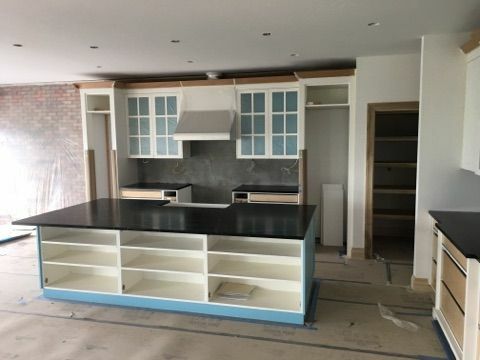 The gentlemen who came to measure made certain we knew our job was just as important as the other jobs he had going on, the installers were exceptional, working around our crazy schedules and then the expertise they use to make the counter top look perfect! Our small bathroom is now a work of art! Thank you Creations in Tile and Marble for such an extraordinary customer service experience.